The New Jersey Department of Environmental Protection (“NJDEP”) regulates, monitors, and enforces a wide range of environmental protection and conservation laws throughout the State of New Jersey. The NJDEP is a cohesive government organization which is involved in various programs and areas of environmental protection including recycling, clean water, air quality and pollution, open spaces, wildlife protection, business regulations, waste transportation and disposal, and other environmental areas. Waste transportation and disposal is one of the major areas which the NJDEP monitors with the important goals of: eliminating illegal dumping (and thus land and water pollution), eradicating criminal activity from the waste removal industry due to a historic connection between the industry and illegal conduct, and educating waste handlers of relevant rules and environmental impacts. To achieve these goals, the New Jersey State Legislature and the NJDEP have enacted numerous laws, rules, regulations, and reporting requirements for waste transporters. 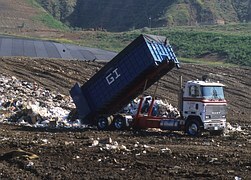 To start, most waste transporters are required to obtain a New Jersey A-901 license. The process for obtaining an A-901 license is not a quick or easy one. Before ever engaging in any waste transportation, the business must provide a great deal of information to the NJDEP, including the source of funding for the business, business locations, lease and lessor information, identification of owners and key employees, etc. On top of that each key employee, owner, partner, officer, director, and managing member must complete a disclosure form which requires a great deal of specific and detailed information such as information regarding family members, employment history, and other personal details. Moreover, each of these people need to be fingerprinted and have background checks conducted.